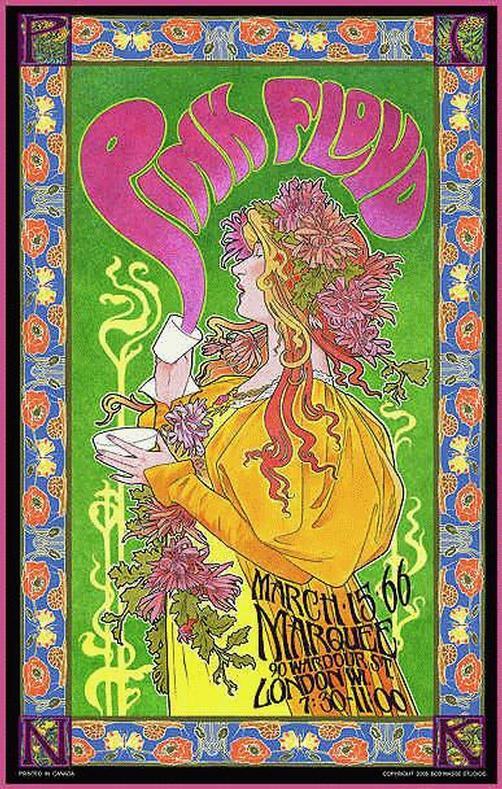 Concert poster for Pink Floyd commemorating the 1966 Mad Hatter's Tea Party concert in London. 14.5 x 23 on card stock. Art by legendary poster designer Bob Masse.